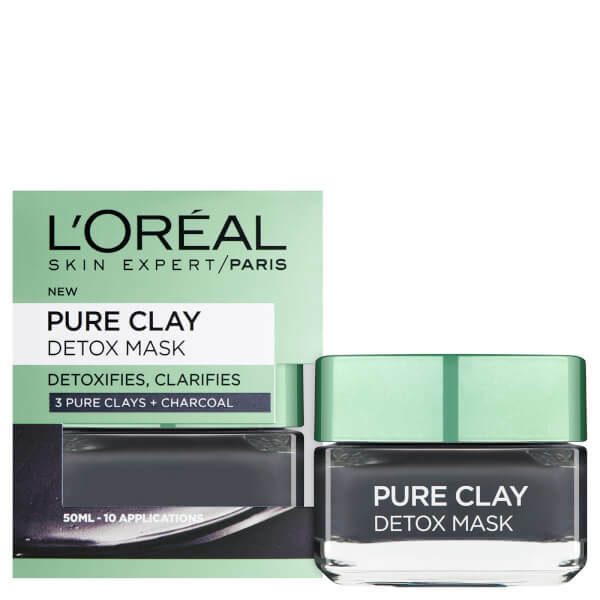 Transform your skin with the L'Oreal Paris Pure Clay Detox Face Mask, a rich and creamy formula that clarifies the complexion. 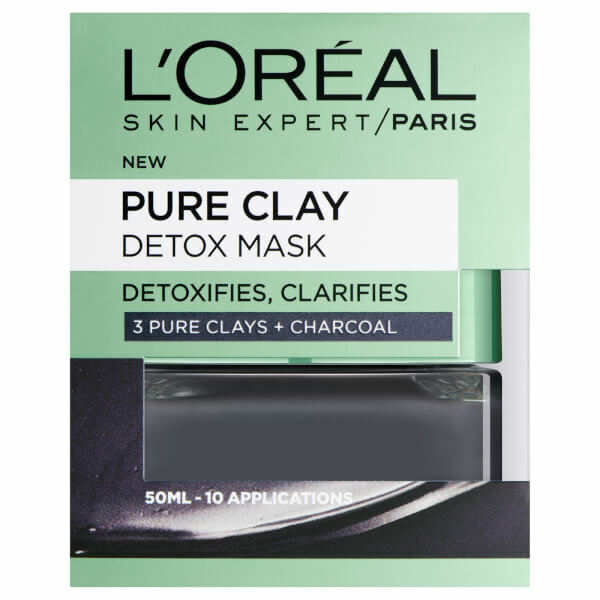 Enriched with a powerful blend of three clays, Kaolin, Montmorillonite and Ghassoul, the treatment draws out impurities from deep within pores, using Charcoal as a magnet to cling to dirt and toxins. 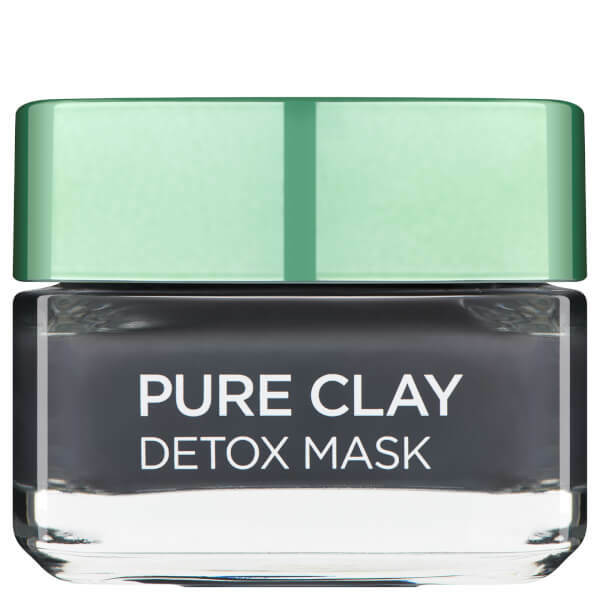 Helping to sweep away excess sebum whilst replenishing moisture to maintain the skin’s natural balance, the mineral-rich clay mask produces instantly clearer results. 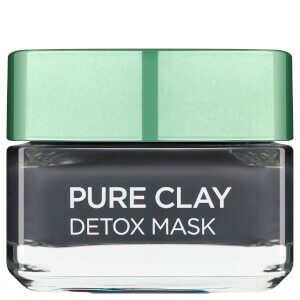 With continued use, you can expect a brighter, smoother and healthier-looking complexion. 782625 11, Aqua / Water, Kaolin, Montmorillonite, Lecithin, Polysorbate 20, Butylene Glycol, Propylene Glycol, CI 77499 / Iron Oxides, Oryza Sativa Starch / Rice Starch, Moroccan Lava Clay, Charcoal Powder, Caprylyl Glycol, Citric Acid, Xanthan Gum, Polyglycerin-10, Polyglyceryl-10 Myristate, Polyglyceryl-10 Stearate, Sodium Dehydroacetate, Phenoxyethanol, Chlorphenesin, Linalool, Limonene, Parfum / Fragrance, (F.I.L. B186966/1).